A company’s investment in the expansion of the gas distribution network is an opportunity to reach new potential customers and eventually increase sales. However, are these long-term investments always followed by an increase in customers? What happens if the attractiveness of gas decreases and less customers are tied to the network? A project conducted within EMBA describes and analyzes the dynamics that govern a gas distribution company and the effects of the decisions in favor of the expansion or the reduction of the network. The analysis takes into account the different aspects that can be originated from inside or outside of the gas distribution system. The advantages and disadvantages of strategic alternatives and their financial impacts have been taken into consideration and the quality of decisions was evaluated in monetary terms. The focus of the project was on traditional uses of gas, for example buildings connected to the network that produce heat using a boiler. Eng. Broggini, how would you describe in synthesis the proposal that comes out of your research? I tried to apply a systematic approach to my professional field, using the tools of System Dynamics, in particular, the numerical modeling. In order to find how to manage the infrastructure of the gas network which has a relatively long life span, and which, moreover, has constant growth. I first attempted to define what mechanisms have led to the company growth, both in terms of network expansion and in terms of volume of gas sold. The acquisition and loss of customers connected to the gas network depends on the attractiveness of the product. With the extension of the gas network, it is possible to capture more potential customers, but that must be conquered. The attractiveness depends, aside the exogenous factors, also on endogenous elements in the system, such as the cost of the network (linked to its extension) and the total consumption in the network (connected to the number of clients). By adding elements of delay, due to the time of the customer’s choice, we will have a model that can dynamically represent the current reality and especially the future behavior of the system. The model represents the dynamic reality and especially the future behavior of the system influenced by internal and external elements, which is crucial to decide whether to continue the expansion of the network or if it should be rather stopped. The model allows us to understand how the system will evolve, either spontaneously or under the influence of external factors, and this understanding determines whether to continue the expansion of the network or not. It is an important fact because the external elements that can turn the system upside down are often of a political nature. This is an innovative approach, being systemic in nature and thus open to a long-term vision. What difficulties must be overcome to realize the project? We must first stop the inertia, changing the organizational culture established, which tends to see the phenomena in a linear manner without taking into account the complexity and dynamics that characterizes them. 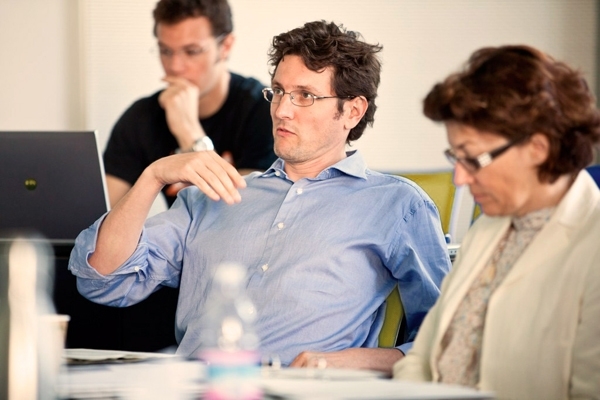 How useful was the USI EMBA program for the project that you have done? The EMBA program allowed me to learn the approach of System Dynamics, coming into contact with academic experts who are competent and highly specialized professionals. Aspects of accounting and finance were also equally helpful as an integral part of the model.